Home » New Posts » How Everything that Comes into Your Experience Has Been Invited by You..
How Everything that Comes into Your Experience Has Been Invited by You.. It is only after your family and teaches have had time to make you doubt your reality that you begin to believe that there is an objective reality. “Be reasonable.” “Look at the facts.” “That’s not true.” “You’re just a dreamer.” All these subtle criticisms are designed to support your ego in its quest to make you forget your spiritual reality. From the mouth of Esther Hicks, and the voice of Abraham. Back in the early 1900’s, the authors of New Thought had made this discovery and spread the news, but it is difficult to take in because our ego is responsible for keeping us focused on life in the space/time illusion. The ego always supports a belief in objective reality which refutes subjective reality. The author of the Secret said that the secret was hidden, but we are here to say that it didn’t need to be hidden by others. We each have our own internal mechanism for disbelief of reality. It is called the ego. How do you spend you days? Are you attentive to the habits or purchases of others, as any marketing expert or business owner would be? Weighing the activities of others, and the wants of others, flows your energy away from you. And, if you get involved with judging the inappropriate behavior of others, this sets your vibration to the low vibration of disapproval and disrespect, or blame, worry and discouragement. These emotions and vibrations will bring into your experience more of the same. Our egos are always more relaxed when we are attending to the business of others, but this does not bring us happiness. Nothing uninvited can come into your life. Wasn’t there a movie called The Uninvited? Frightening wasn’t it? It can’t happen in subjective reality. All our experiences are a match to our vibrations. We invite them as we focus on particular feelings. These feelings are generated by the ideas or pictures in our minds. This is our subjective reality. It is based on our consciousness. This is why those who “lead charmed lives” do so. They are feeling happy, and those feelings of happiness generate more situations or people in their lives to make them feel more happiness. If there are sometimes tests or hurtles to got over, they don’t sink into disappointment or doubt. They are able to maintain their hopefulness that life will come around once they get past the challenge. And this is why their lives seem charmed. Their “how” is to maintain their emotional set point at hopeful, expectant and excited. People often ask about babies. How can they control their lives? The Hicks explain that babies are well prepared emotionally for this environment before they come into space/time. Others posit that babies and toddlers are often in Theta. Theta is where the most growth hormone and endorphins are produced which allows babies to feel good even while they are learning how to control their little bodies. So, come on, you might say. We all know that there are babies who are in terrible and painful circumstances. Did they ask for this? In subjective reality, your consciousness created the babies. You are consciousness and there is nothing outside your consciousness. If you believe the babies were saved, then they were saved. If not …. The babies, and your relationship to them was created by your consciousness in relationship to Source, for the growth and discovery of your spirit. If their reality served no purpose, you would not have created them. What is Source if Everything is Part of Our Consciousness? We are. We are a facet of Source as is everything and everyone who seems to be separate from us. We are connected to Source even now. You are aware of your body breathing. You are aware of the pressure against your body where you are sitting or standing. It feels hard or soft. The temperature of the air touching your skin is hot or cold, blowing or still. It might smell good, or not. This is all part of your awareness of the now. The feeling of aliveness is your connection to Source. The thoughts that you are thinking seem to emanate from your head, or your heart depending on your culture, but this is not where they originate. At a deeper level, more clear when you are meditating, or sleeping, you are connected to Source. Dr. Bruce Lipton explains in Fractals, that our identity is not contained in our hearts, or our brains, but on the surface of every cell in its self recognizing antenna. So, how does that antenna know what is me and what is you? The signal is projected from somewhere else. Our consciousness is elsewhere. Our consciousness, our subjective reality, is part of the One, the Source, or Divinity or God. What is Source? Source is the One who created everything; who set this all in motion. 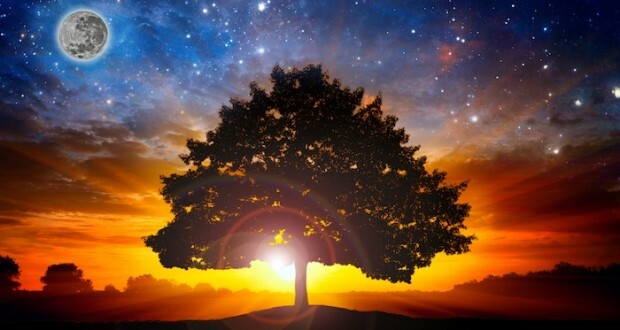 When we are allowing our full connection to Source, we feel good because we are aligned with the purpose for which we came into space/time. When we are not allowing our connection to Source, or when we are allowing our ego to fill our consciousness with the myth of separation, or with the myth of objective reality, then we don’t feel good. When we allow our connection, we thrive. Describe any person in your life. The adjectives you use to describe this person let you know the part of you that this person represents. It may be that there is a part of you that you reject and a particular person in your life represents that part of you. That will not be a good relationship because as you reject that part of you, you will also reject that person. It is the people you most dislike who will teach you the most valuable lessons. When you can accept that part of you that they represent, then you will be well on your way to the upper emotions and the faster vibrations, such as contentment, hopefulness and optimism. You have to first let go of disappointment and impatience to get there. In subjective reality, since everyone in your life is part of your consciousness, there are no “others” to interfere with your joy. It is all you. The disappointment and impatience are all yours. Many coaches and hypnotists will explain that one of the most powerful processes, is to forgive yourself. This is the reason. In subjective reality, we only associate with versions of our self, and with Source. Once we have accepted and been able to love all of our aspects, we will only have loving associates and relationships in our subjective reality. Wouldn’t that improve how you feel about your life? How Does This Fit with Objective Reality? From a subjective reality perspective, objective reality is the space/timescape. In our space/time reality, there are people and activities, and the laws of science. Just as there are people and activities in our dreams that seem very real, so too in our space/timescape, the people and activities seem very real. Yet, if we keep one foot firmly planted outside the space/timescape, we will maintain our conscious relationship with Source and our conscious manipulation of the Law of Attraction. What seems to be an objective world will be manipulated as easily as we learn to manipulate our dreams in lucid dreaming. Those who can do this are known as psychics or healers, mystics or miracle workers. You can become one of these. You don’t have to live your life as an objective realativist. http://www.Mindbridge-LOA.com the compendium of information on the Law of Attraction. She is a writer, licensed Social Worker, educator, artist and therapist. She believes that everyone can make the Law of Attraction work for them. Tagged with: How Everything that Comes into Your Experience Has Been Invited by You What is Source if Everything is Part of Our Consciousness?